Autodelen.net and Taxistop have been working together with the City of Bremen for several years. First during the CARE-North + project, followed by SHARE-North, both of which are Interreg North Sea Region projects. Here, we work together to promote shared mobility and to inspire each other. 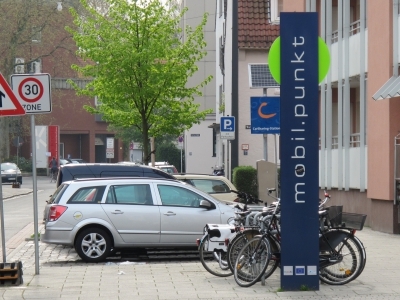 In Bremen, a car sharing station on public street space – that combines other sustainable mode of transport (such as public transport, walking and cycling infrastructure) – has long been called a “mobil.punkt”. Each mobil.punkt is equipped with a pillar and the planning and opening of such a new location encompasses a complete communication and stakeholder engagement plan. Strong branding is one of the reasons car sharing and mobil.punkt in Bremen is so strong: by mid-2018, the city had more than 15.000 car sharers and an ambition for 20.000 car sharers in 2020. Ambition to have the same name and corresponding criteria in different cities. Taking the multimodal vision further: A mobihub includes at least car sharing, bicycle facilities and a stop for collective transport – just like in Bremen – but can include even more public services, like package walls and bicycle pumps. 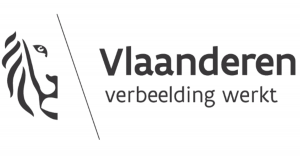 Our own logo: a pointer that connects the physical and the digital world: the bricks and bytes. 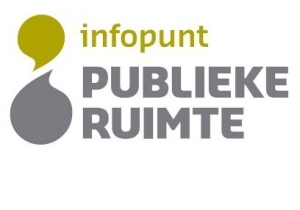 In May 2018, the Norwegian City of Bergen, another SHARE-North partner, celebrated the opening of its first mobilpunkt (same name, without the dot). 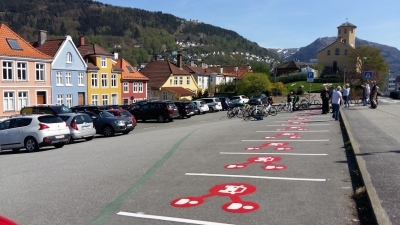 They were greatly inspired by Bremen and used the car sharing icon (developed in the Netherlands) to indicate the parking places and also take the approach to plan mobilpunkte to meet the needs of the surrounding community while always incorporating the same basic elements: clearly marked, visible and accessible spaces for car sharing services on public street space. Meanwhile, Taxistop (via Interreg project G-PaTRA) and Autodelen.net are also promoting the concept in rural locations. For example, there are 55 “travelhubs” in the Dutch provinces of Drenthe and Groningen. Moreover, several countries work together in the Baltic region through the cities.multimodal project.